Rated 5 out of 5 by methosfl from Better than the reviews would have you believe. I'd been looking at this game for awhile but hesitated because of the so-so reviews. Ended up buying it on one of the deals and actually really enjoyed it. It's not long and creepy and really in depth, but it did make me think and was easy to keep up with. Too often in these games you end up with so many things to do you lose track of where you are and what you're doing. This game kept just enough things in your inventory to remind you what you needed to do. And if you got a bit stumped about what to do next, you would get a HOG that would give you what you needed when you needed it, directing you where you needed to go. A nice, steady, laid back game that makes you think. Rated 5 out of 5 by FORTUNATUS from Variety is the spice of life.... This game is 'different' and I mean that in a good way.... 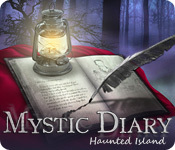 Mystic Diary... plays more like an INDIE game IMO, ie. produced by an independent developer w/o huge financial backing, and as such, the developer has great promise! It has good graphics, easy on the ears SFX, an interesting storyline and challenging, diversified puzzles that are unique, all making this game worth the purchase price in itself. If you enjoy more of an adventure mix to your H0 gameplay and yearn for something outside of the proverbial 'box' I'm pretty certain you will enjoy this game as much as I did. Definitely check it out! Rated 5 out of 5 by JulieJay from I ignored the negativity... ... and had a great chilling day playing this game. I didn't sit and play non-stop from download to game over so it has took me all day to play so can't really comment on the actual length. I found the HOS and puzzles great fun - not too hard and not too easy. I don't mind re-doing the same HOS a few times in fact I enjoy when a game has you do that. I would recommend this game to anyone and especially at this sale price (you've got just short of a week to grab this bargain!). 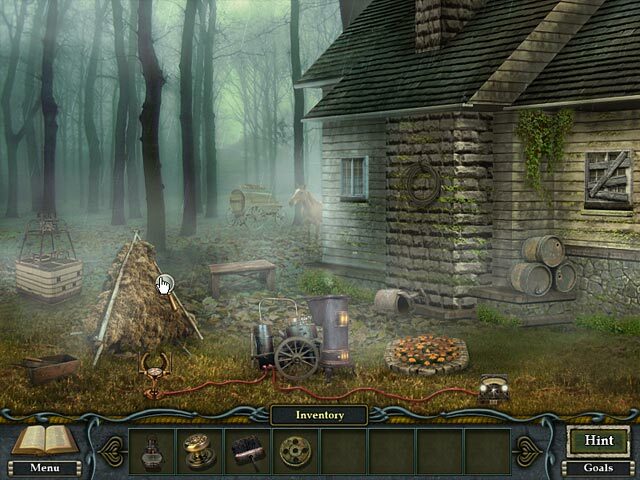 Rated 5 out of 5 by kcjewel from Great graphics make Hidden Object game lots of fun Engaging storyline and great graphics made this HO game very fun. Rated 4 out of 5 by rosekaufmann from CHALLENGING ADVENTURE HOG LENGTH ON CASUAL PLAY: 4 hours Challenging gameplay. [If you don't know what to do next, hint is pretty useless. Just shows you a picture of where to use an inventory item, even if it's in an as yet undiscovered location.] HOS are crowded, somewhat dark with faded colors and indistinct objects. Hint does work well in the HOS. Sometimes you need to cast spells to progress (I think there were 4 spells). Nice game except for the indistinct HOS and the unhelpful hint system. Rated 4 out of 5 by joey92 from Fun but easy easy easy HO's were the easiest I've come across with very few hard finds(mostly items of similar color to back ground or words that could represent lots of things like "king" Puzzles were a mix of new and basic. Loved the puzzles! But they as well were super easy! Story was ok. For me HOA are finished in 4+hrs with hints and puzzle skips, I had this game done in less than 3hrs with no hints or skips. Rated 4 out of 5 by Hookedonbigfish from Nothing special, but enjoyable The plot is to stop a magician's ghost and to free trapped souls that are haunting the woods and to find and stop a villain before it is too late. Not that spectacular and nothing out of the ordinary but it is still a servicable game. There are no voice overs and there is minimal reading that does not bog you down. The graphics are good, clear and precise and colourful. The puzzles and mini games are quite detailed and some are a bit tricky to try and fathom out but all are good and entertaining. 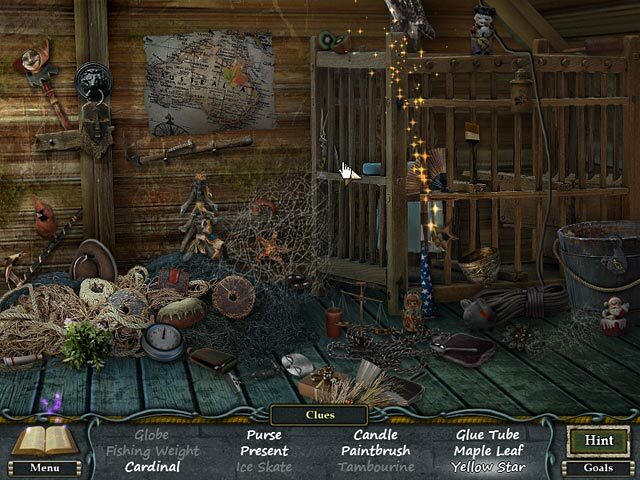 Some of the hidden objects are a bit hard to find as they blend in with the somewhat dark backgrounds in a few scenes. Some are quite easy to find whilst others require closer inspection and a bit of a hint. Rated 4 out of 5 by stretchmymind from Calm afternoon This game has good visuals, a simple yet interesting story line, lots of HO screens and some interesting puzzles. It isn't terribly challenging but is fun and had a couple of interesting twists. The music got a bit monotonous. 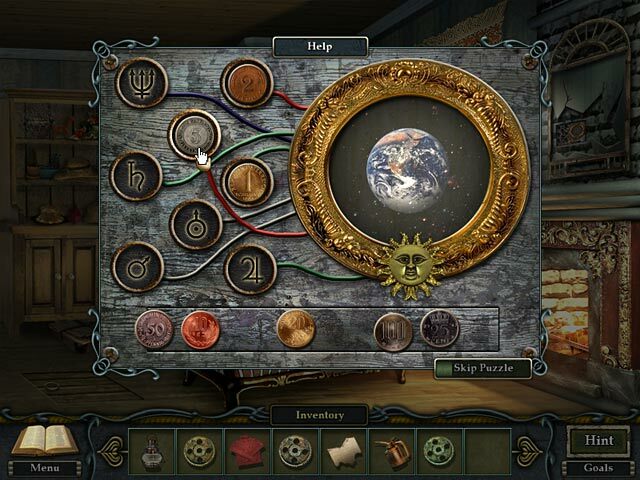 None of the puzzles were hugely challenging which, depending on your mood, is OK. The HO screens were pretty good - you had to look but they weren't so cluttered that it drove you crazy trying to find things. The visuals were well done.